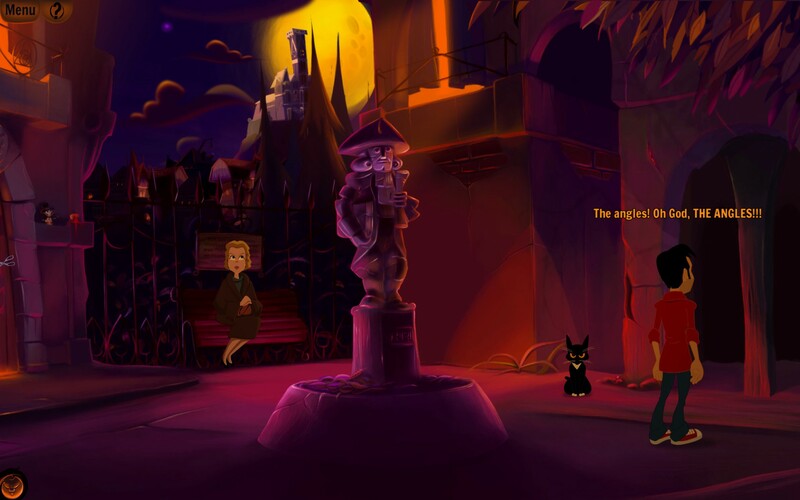 Among countless others, there are three things that I love: adventure games, Lovecraftian horror, and comedy. Now, it really does sound like the three shouldn’t mix well but in the case of Gibbous this indeed the case. As soon as I saw it go live I backed the Kickstarter campaign. I had actually known about it a bit before it launched and I even got to critique the page before it launched. Anyway, along with the pitch came a short demo that showcases what one would expect from a Lovecraftian comedy. I have played through it and I have to say that if you’re a fan of any of the above you should check it out. Before I go into the demo itself I want to take a little bit of time to discuss the current state of the campaign. In just a couple weeks, or thereabouts, Gibbous has already managed to make it halfway to the base funding goal. Which warms my black eldritch heart. With just over two weeks left it looks like it could make it but it could still use all the help it can get. And, frankly, the people at Stuck in Attic deserve to see their dream a reality. In fact, Liviu Boar must be at the helm 24/7 as he always responds to every comment made. Some of my favorite campaigns are those where backers are constantly treated to a fun time by the developers and Gibbous is most certainly no exception. A good number of the nearly 200 comments at the time of this writing are “blue” comments, meaning that the devs are responding on a nearly constant basis. And every “white” comment is answered in a very timely fashion. If there is one issue that I have with the way that the campaign is being handled it’s that I would like to see more updates released. As of the time of this writing there are only two updates in as many weeks. I’d love to see more from them in this regards, especially the one some backers, including myself, are waiting on…namely a look at the physical box. As for the demo itself, it looks and plays great. It’s full of offbeat and dark humor, has plenty of fourth-wall shattering comments, and doesn’t fail to poke fun of beloved game developers and franchises. You’ll know what I’m talking about if you play it yourself. Just on this three-room slice of the game I can tell that this will be a great game once it gets finished. 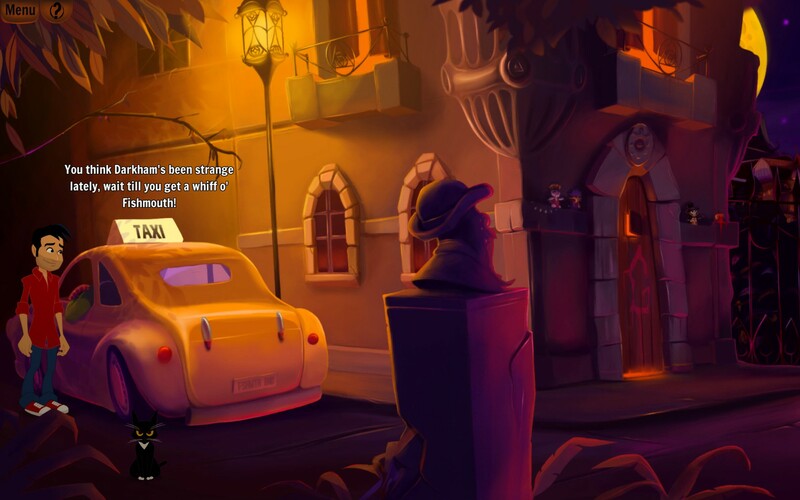 It’s quite apparent that Stuck in Attic is a great lover of the adventure genre and it shows. 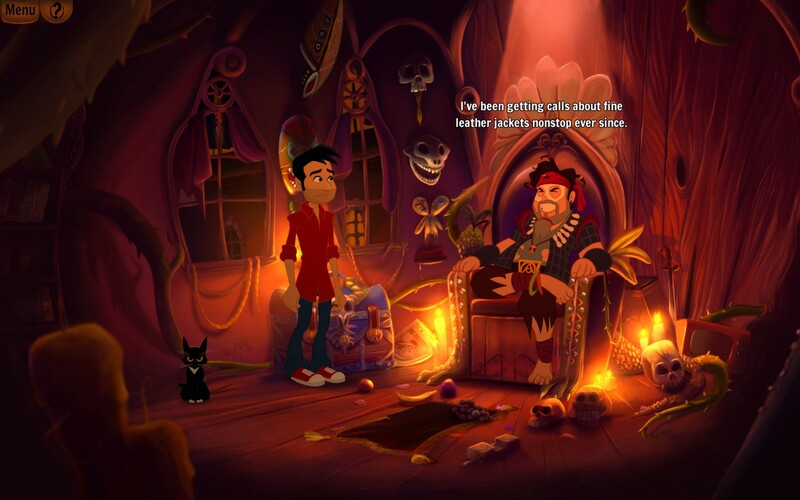 The dialogue is hilarious and obviously inspired by the LucasArts greats. If you’re not already a backer I highly recommend that you check it out for yourself. Gibbous is far from being funded but it’s also not necessarily struggling. The fact that they not only have a great pitch, both in regards to the video and text, but also have a playable piece of the game makes me wonder why more people aren’t checking it out. 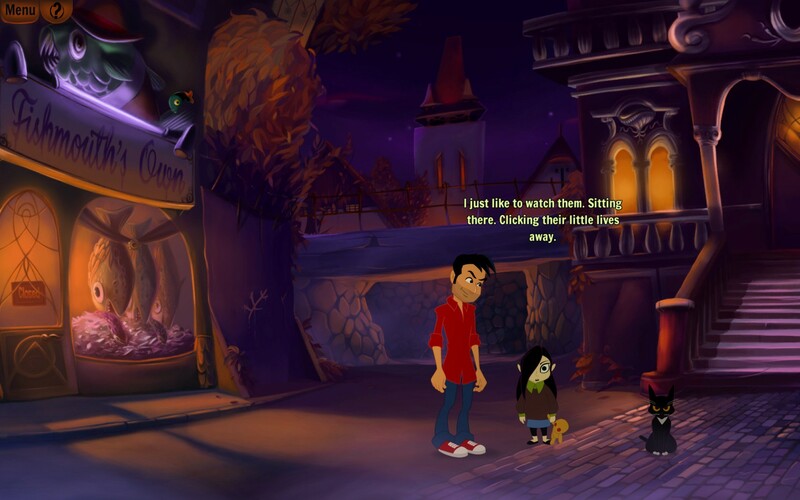 I know that there are plenty of adventure game fans out there that have yet to see it. In two weeks I really want to see it sail past the 100% funded mark. Previous articleI Just Want My Oculus Rift! Next articleCan a Dragon Slaying Corgi and a Demo Save the Quest of Souls Kickstarter?